For more information or to purchase any of the following please contact us. Upgrade you dull stock sealed beam headlamps to halogen units. Both 7" and 5 3/4" Halogen headlamps are available. 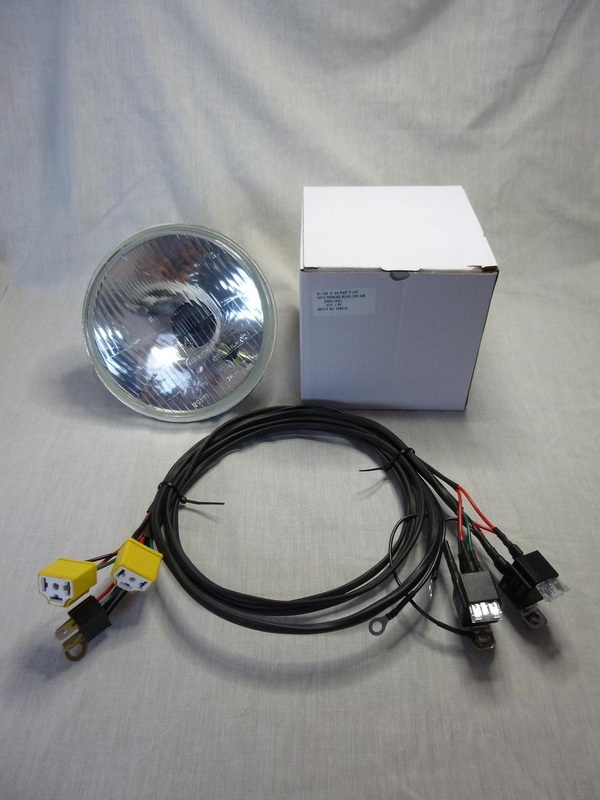 Suitable for use with stock sealed beam or 55/60W Halogen headlamp upgrades. Built in house to our own specification. The harnesses incorporates two fused automotive relays powering the headlamps directly from the battery reducing the power fed through the vehicle switch and original wiring. 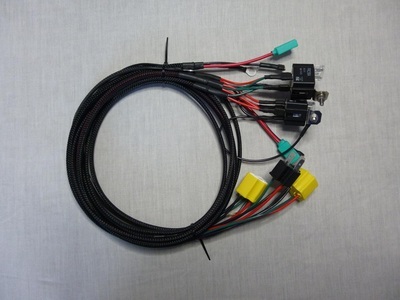 The harnesses are built using high quality thin wall automotive cable, crimp terminals and ceramic headlight connectors. 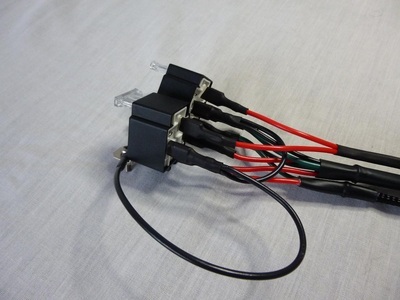 Finished using black braided sleeve and heat shrink to give a neat and easy to route harness. 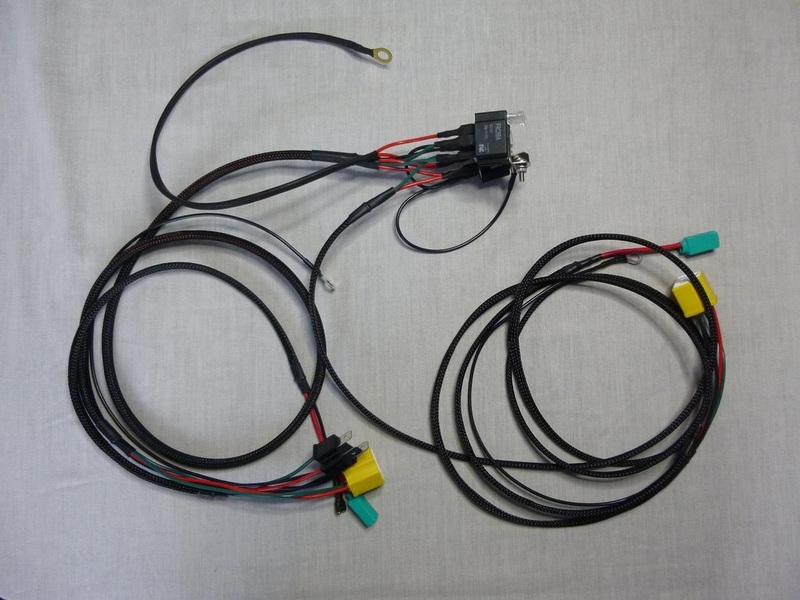 Plug and play wiring for an easy installation. 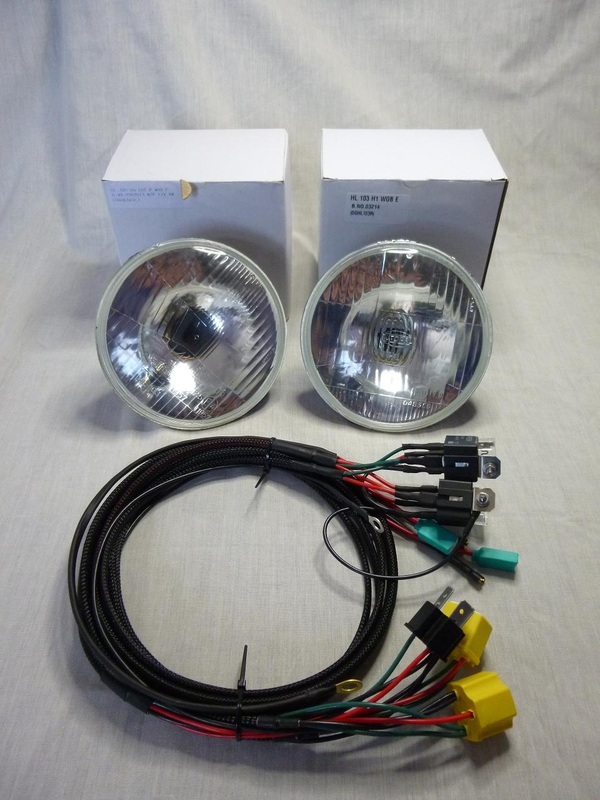 Available in a two (2 x H4) or four (2 x H4 & 2 x H1) headlamp configurations. Kit includes stainless steel hardware to mount the relays. Custom lengths and configurations available. Please contact us for more information.